For my designer showcase I thought it would be a nice idea to make two layouts about myself and write down some fun facts about me on them. In that way I can share a little bit about me with you. Lately I am incorporating more journaling in my lay-outs, especially when I scrap about me. I want my scrapbook to be like a diary: something I can look back at later and remember special moments, fun facts and notes to self. 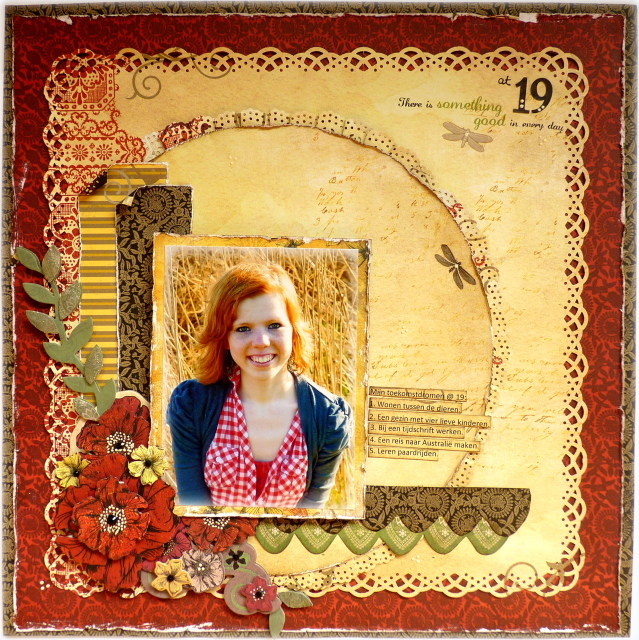 For my first layout I used the gorgeous Serenade collection. On this layout I recorded five of my dreams at the age of 19. I thought they deserved a lay-out in my book, so I can look back at my current dreams when I am older. 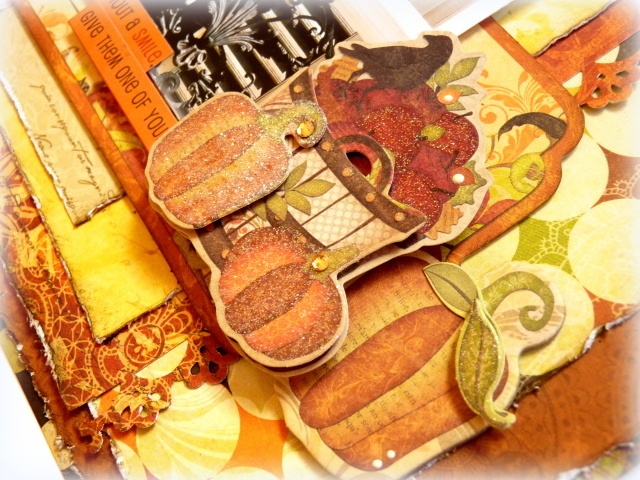 On my second layout I used the wonderful Apple Cider collection. I love the warm colours and thought they matched my ginger hair very well. This layouts records my addiction for dresses. If I could, I would definitely wear them all year long. A dress has the same effect on me as chocolate has on many other people. As soon as I can wear my summer dresses again, I start to shine. Romy - You are such a doll. I love reading about you, I'm always amazed at how you have everything so together... and don't get me started on your talent!! I love everything about your style. Love the layouts Romy. Very special!!!! You have a bright future ahead of you! Always love to see your take on things. I'm jealous of that beautiful red hair of yours, Romy. Your Lay Outs look splendid, just like yourself. Romy is always so inspiring...just gorgeous and the colors are just perfect! Romy, I just love your layouts. Your such a beautiful girl, inside and out. I love your goals for the future, I'm sure you'll achieve each and every one of them! I absolutely love these layouts. They are beautiful. You are so talented. What punches did you use for the borders? Love your layers. Thanks for sharing. These are beautiful and compliment your gorgeous red hair. Love'em. Love your layouts, Romy. And loved learning more about you! Great and beautiful designs dear Romy!!! How amazing is Romy!!! I just loveeeeeeeeee her and her creations!!! I love love love it all!!!! Colors and layouts both are amazing! and cards are really superb! keep working like that. Hi..these are beautiful.. 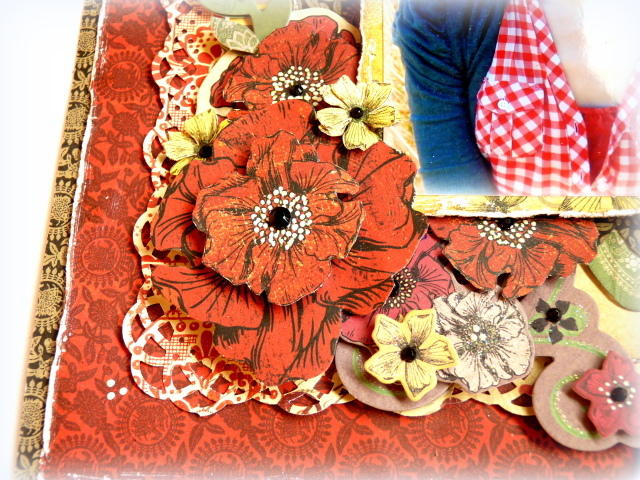 I love Romys scrapbooking style!! Romy you did an excellent job with those Bo Bunny lines!